Third grade so far is so fun. You get to write about lots of stuff. Like you or animals or me and we get to do art. I hope you are feeling better. You have made me happy. I feel sorry for you. I think that Obama is going to win because he is maybe going to get the most votes! People call me Monday, Wednesday, Thursday, Friday but my real name is Tuesday. 1 Get better at school and why so you can get better at learning. 2 Read more books and why so I get smarter. 3 Watch less TV and why because it is bad for your brain. 4 Be nicer at being a friend and why because I want to be a better friend. What is on my mind is my brother is getting a bone scan and I am scared. And I do not want him to get hurt and even though you know we fight I still love him. The WASL was easy to me. I liked it because the stories are fun. I forget, the WASL it a BIG test. I think it is fun. I hope that I will and everybody will clean the world, but people do not always care about the earth. And global warming will kill animals. And they will lose their home. Report cards. Oh how I hate report cards. Because what if I get a f. Ok that would be bad. This book is about all my articles that I wrote. I love that I get to share all my stories and I hope you like it. So it is like all blog articles and ya that is about it. Oh and again I hope you like it and we did font too. And I colored and so I think you will like it. So comment me if you like it and it is the same because it is just in a book. 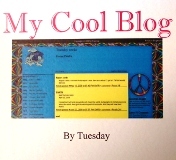 This is a story all about my blog. It is really fun to have a blog. I like having a blog because you get to write stories and you get to change the font on it and you have a lot of fun writing on your blog. My favorite story is, oh I cannot choose and you can look in other people’s blog and that’s just so cool. I love going on my blog and I am not just saying that, really.